Welcome to our page dedicated to physical education and school sport. 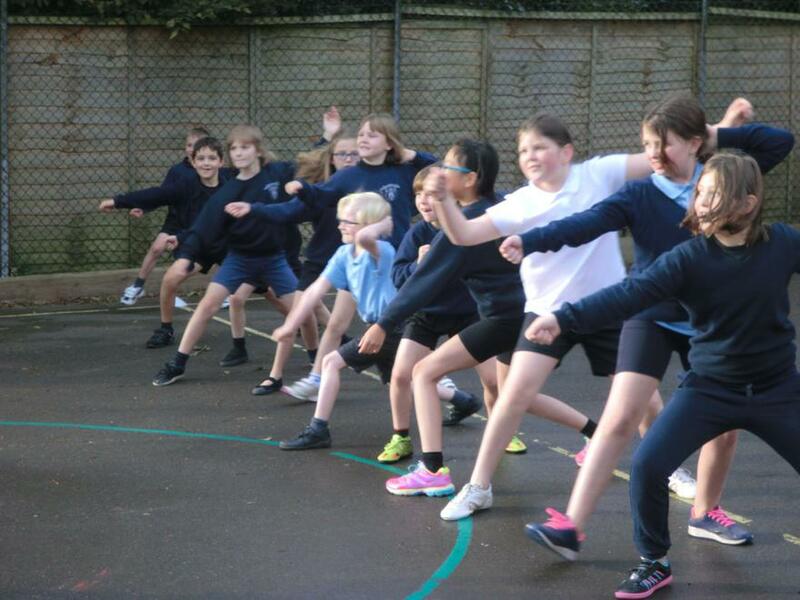 At Oare Primary School we work to motivate and inspire all young people so they enjoy physical activity and keep themselves healthy and active. 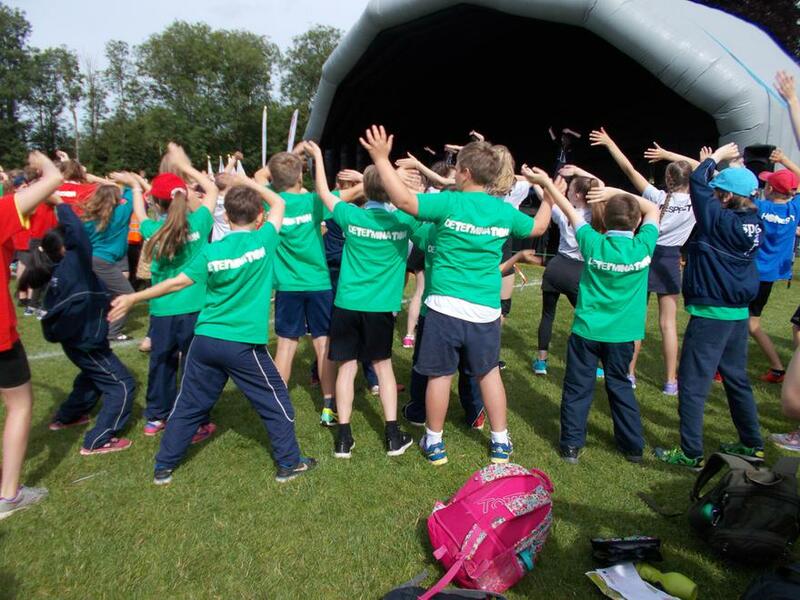 We aim to support every child to achieve their physical fitness and mental wellbeing. We aim to provide opportunities for all children to compete in sport and other activities in order to help to embed values such as team work, fairness and respect both in school and within the cluster. We offer support for children who find physical exercise a challenge and ensure the gifted and talented are able to excel. Alongside our work in Science and P.S.H.E., children are taught how about healthy eating and keeping their bodies healthy. At Oare we work to ensure all children leaving our school are physically literate and have gained the knowledge, skills and motivation necessary to equip them for a healthy lifestyle. On Tuesday 12th June coaches from Pewsey Tennis Club came to the school and did coaching sessions with all the children in the school. A fun time was had by all! Y5/6 Girls got the opportunity to go to Marlborough College and receive cricket coaching from two former England International players. A fabulous time was had by all. 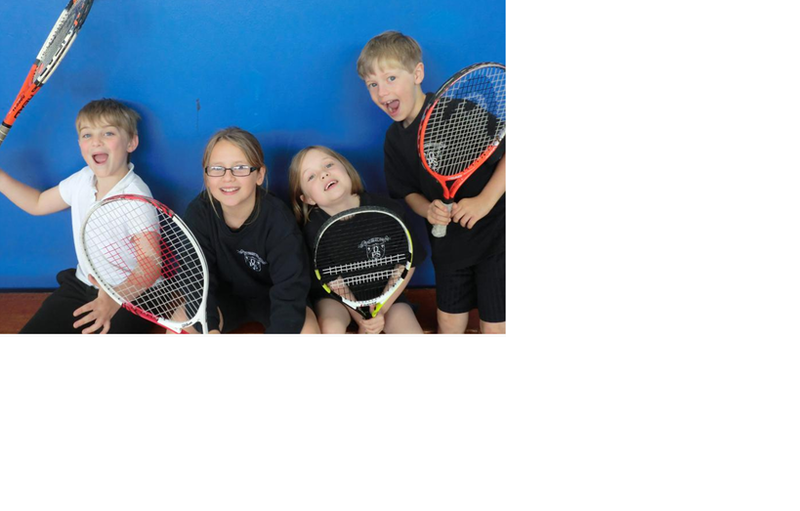 Four children from class 3/4 took part in a tennis tournament last week at Avon Valley College and came a fantastic 3rd place having had to play the semi final three times after getting the same amount of points twice! 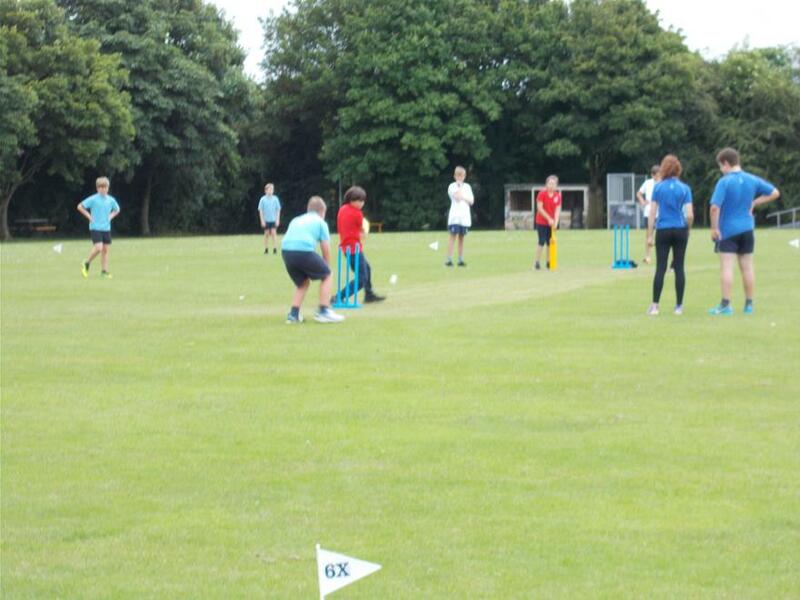 Y5/6 took part in a cricket tournament at Collingbourne Cricket Club and came a fantastic 3rd! Well done! Congratulations to the Y5/6 rounders team who reached the final of the Marlborough Small Schools Rounders tournament and came 2nd! Congratulations to the children in Y3/4 who won the Marlborough Small Schools Cricket Tournament. On Monday the 20th of November, Year Three and Four went to a handball tournament. We played at Saint Katharine’s School. We played 3 matches and won all of them which meant we got into the finals. In the finals we played Kennet Valley but sadly we lost 13-9. Over all we came second which wasn’t too bad. This experience was a fun and amazing day, we thank all of the teachers that allowed us to have an amazing day out. 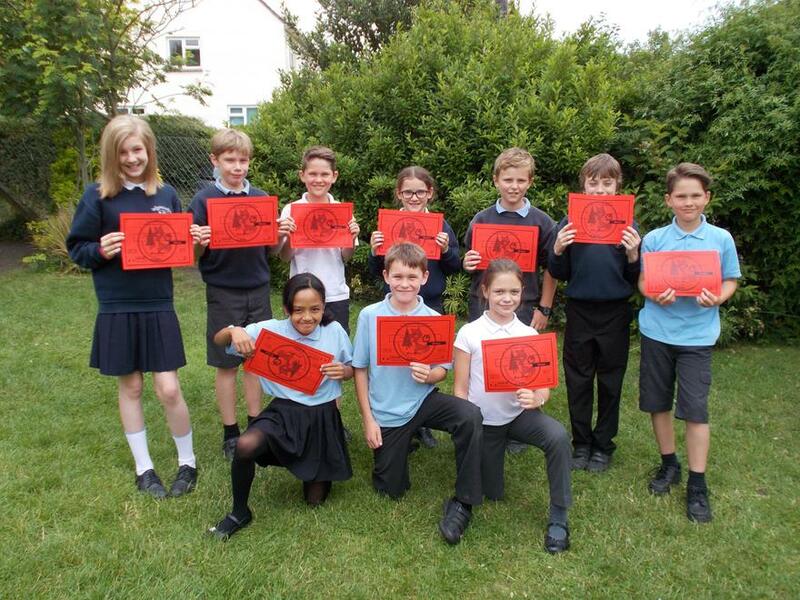 On 25th September children from Y5/6 went to St. Katharine's school to take part in a Dodgeball tournament. Although it was a wet day all the children tried their very best and competed well. We played 4 matches in total. The children enjoyed the experience. Overall we came 7th. Well done to our Y3 and Y4 team who came first out of eight teams from different schools. This was a fantastic achievement. Well done everyone! 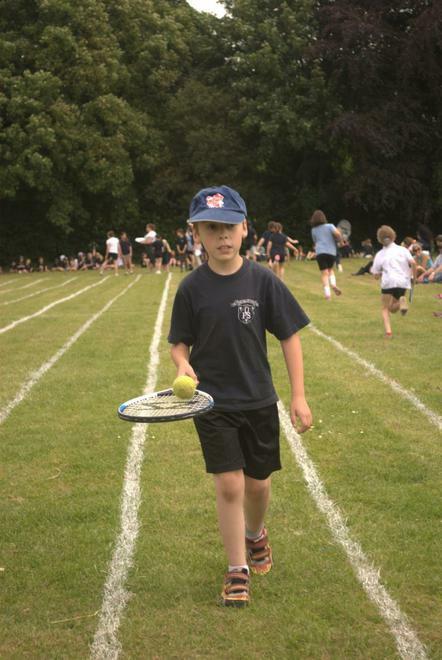 On Wednesday 21st June, 8 pupils from year 5 and 6 competed in the first Small Schools Sports Festival. 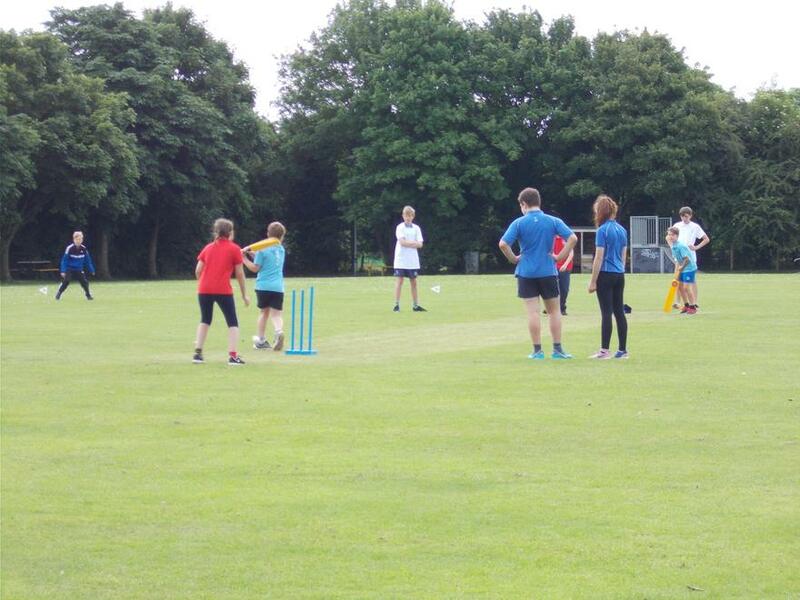 Despite the recent hot weather, our rounders team had been practising hard and were looking forward to this festival. 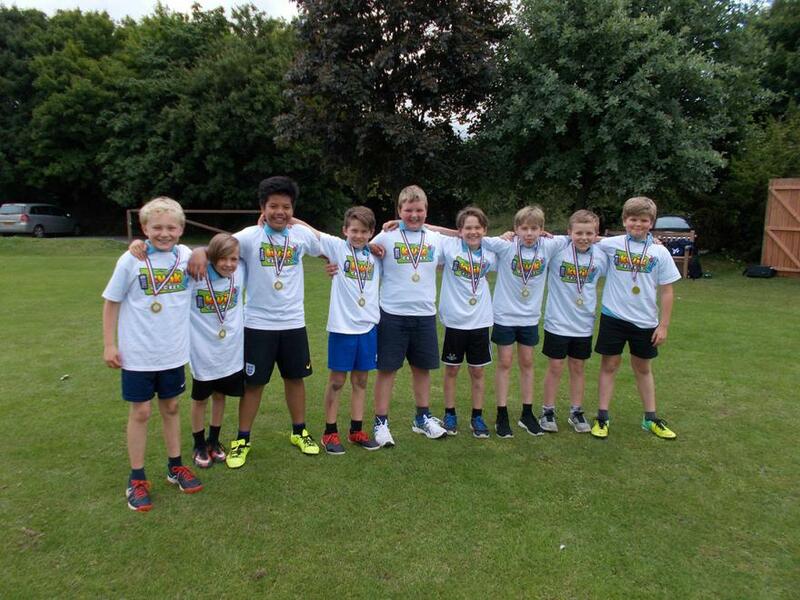 They performed superbly, winning all of their matches by considerable margins which meant that they went through to the final - up again Ogbourne Primary School. After, a quick phone call to Mrs Normington to ask her to come and watch both of her schools compete against each other, Oare took on the mighty team from Ogbourne. Brilliantly played by both teams in pretty extreme heat. Whilst, we lost in the final, Oare are extremely proud to have come second place in this festival. Special mention to Archie, for receiving an individual medal for his supportive behaviour to all of the other teams today. 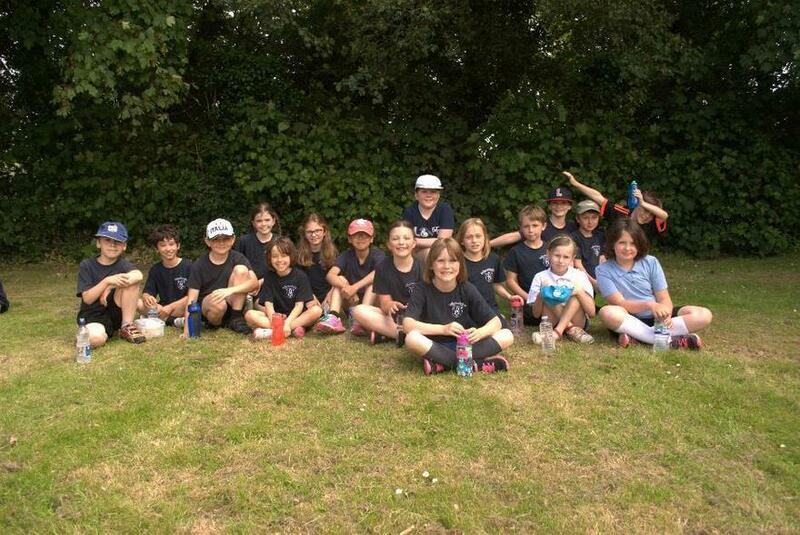 On Wednesday, 24th May, a team from Owl Class travelled to Collingbourne Ducis Cricket Ground to take part in the area Kwik Cricket competition. Despite only a few sessions in order to prepare, they acquitted themselves admirably in all 6 matches, achieving 3rd place overall. All the children in the school had an opportunity to learn a little about Karate on Wednesday 17th May. The morning was a huge success and many children have signed up to karate club which will begin next term. A team of ten pupils from Owl and Kestrel Class took part in the area Golf Festival at the High Post Golf Club on Wednesday, April 26th. Many of our team discovered excellent golfing talents, in particular Jia-Ling who scored extremely highly for our team. We finished a respectable 4th overall. 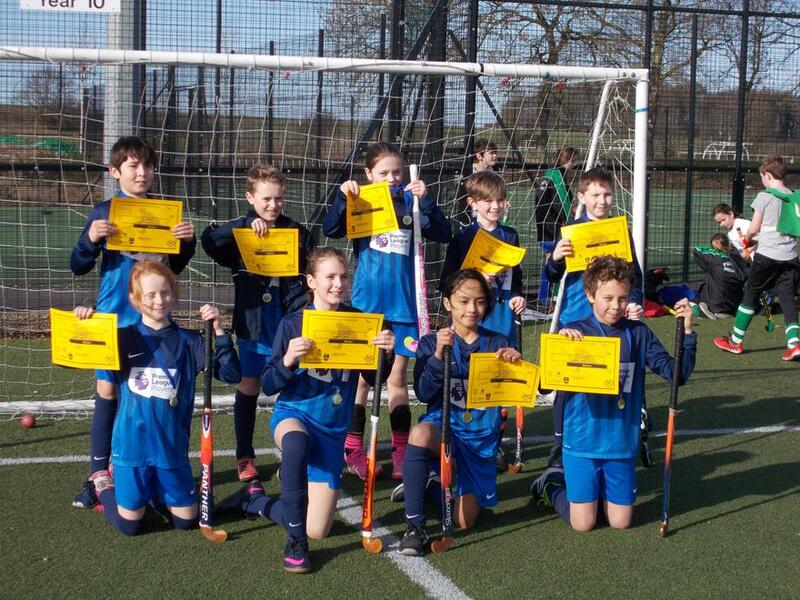 Our talented group of hockey players travelled to Corsham on 26th March to compete against other winning teams from all around the county. They faced some very experienced teams but fought hard in all their matches and acquitted themselves admirably. 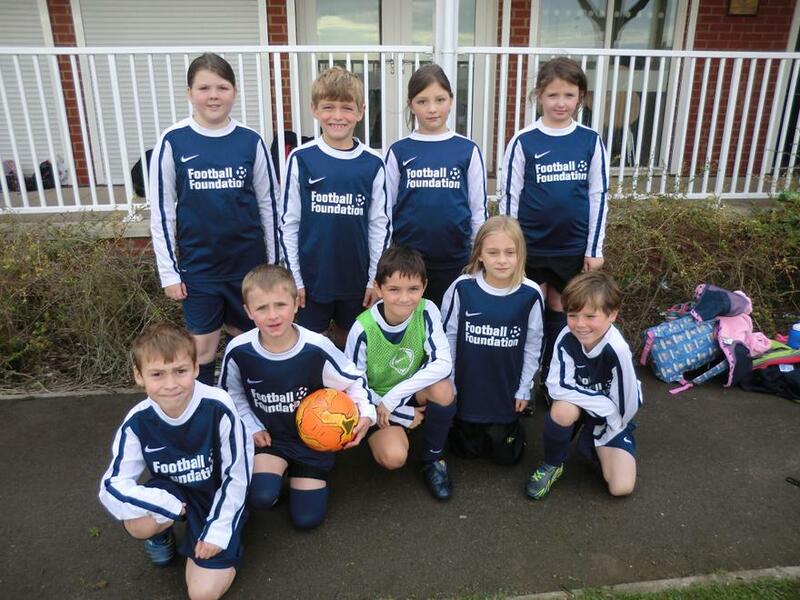 A team from Owl Class took part in the area Tag Rugby Festival at Pewsey Vale School on Tuesday, March 7th. Losing only one game to the eventual winners, they performed admirably, finishing second in their group. 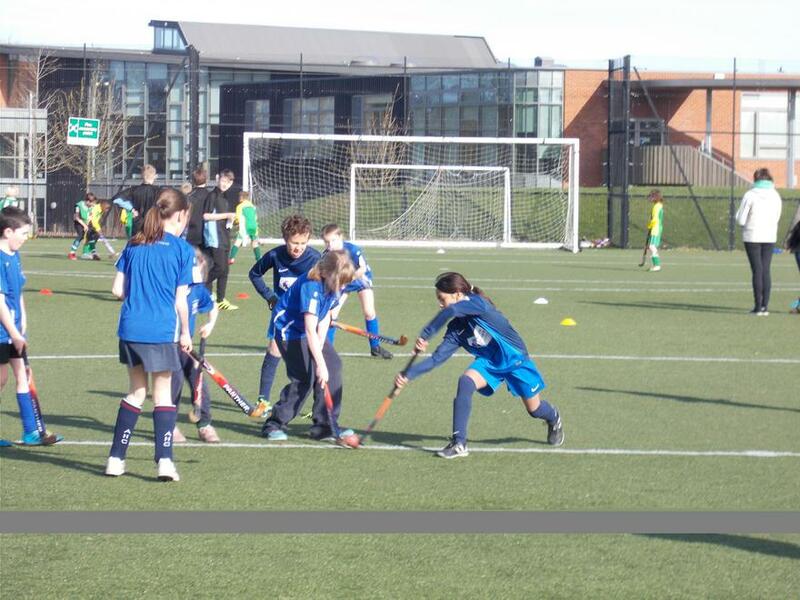 A team of 9 from Owl Class enjoyed a wonderful afternoon’s play at the cluster mini-hockey festival at Wellington Academy on Thursday, 2nd March. Playing a total of 8 matches, they let in only 2 goals all afternoon, winning 7 out of 8 matches and drawing the other, this undefeated run securing a tournament score of 38 out of a possible 40 points and winning the event. Our thanks go to Ms. Langfield for her work with the hockey club. The children now progress to the county finals which will take place at Corsham on 26th March. On Thursday, 9th February a team of gymnasts took part in the area festival at Amesbury Leisure Centre. They enjoyed a wonderful afternoon of gymnastic activities and all performed their routine beautifully to achieve a fantastic second place overall. Well done to these girls for giving up their time after school for the last 3 Thursdays to learn and perfect their routines. On Friday, 3rd February all the children from Year 1 to 6 took part in a basic fitness test, where they had to keep running laps around the playground, completing as many as possible in four minutes. 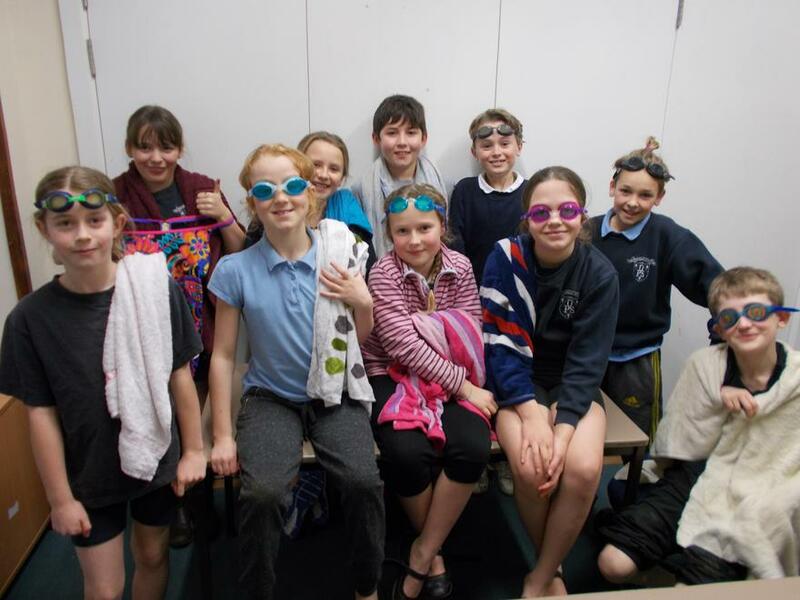 Congratulations to our swimmers in year 5 and 6 who competed in a swimming gala at Durrington Leisure Centre on 25th January. Despite having no entries in the year 5 boys' races, they finished a creditable fifth. Their efforts were recognised by the organisers with the presentation of many stickers celebrating their teamwork, determination, passion and honesty. Our first-ever girls’ football team took part in the cluster tournament at Avon Valley College in Durrington on Wednesday, 9th November. 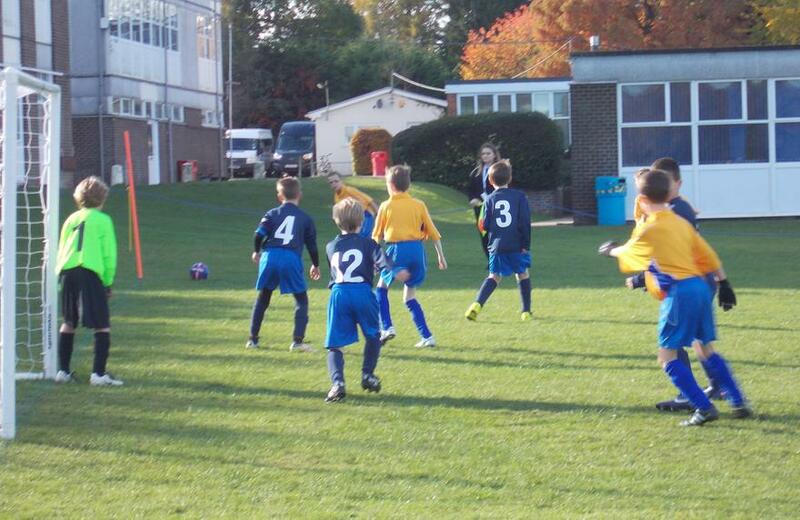 With some excellent team play, they secured 4 wins and 2 draws out of their 8 matches. More importantly, they all thoroughly enjoyed the afternoon and the opportunity to play together as a team. Celebrations - the first for a goal; the second just the joy of taking part! 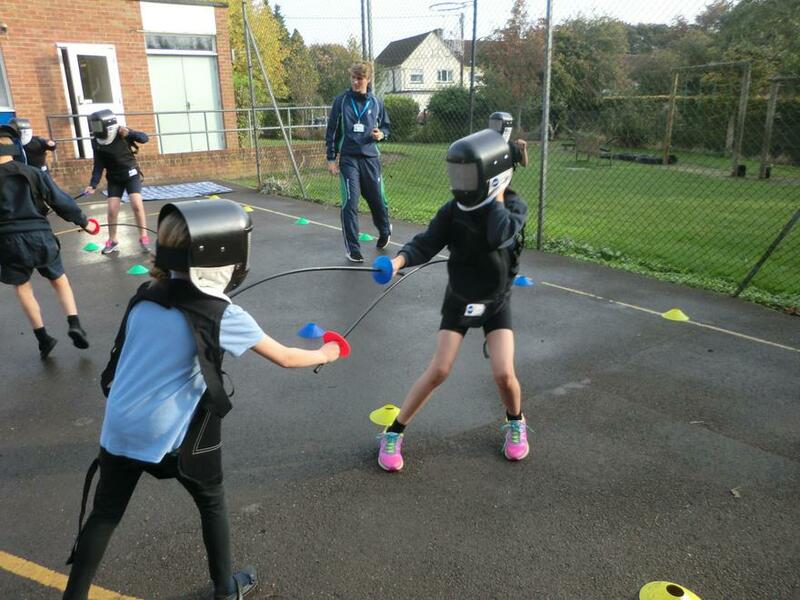 Our Owls joined in with the swashbuckling on Friday, 4th November, when they received the first of 3 fencing workshops from Premier Sports in Salisbury. Here they are in action. 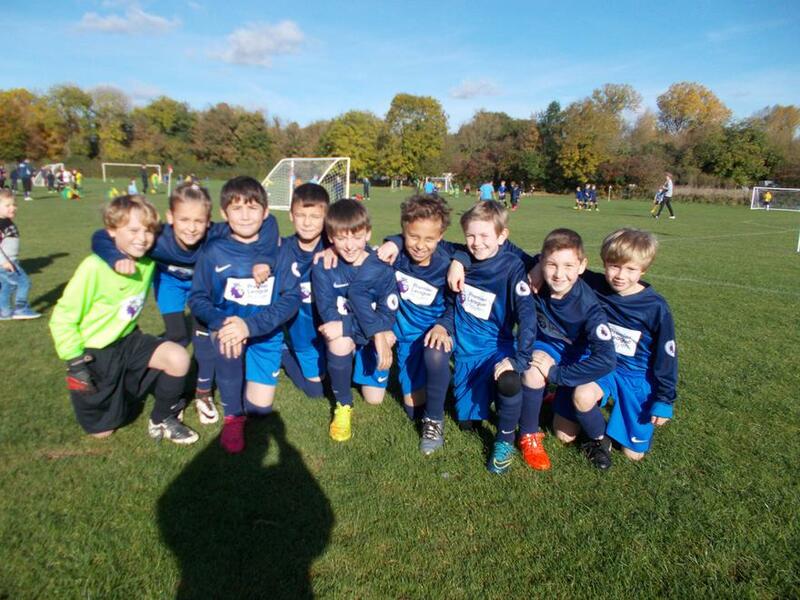 A group of boys from Owl Class participated in the cluster football festival at Avon Valley College on Wednesday,, 2nd November. Playing superbly as a team, they won three out of four of their group matches, progressing into the semi-final stages, where they suffered their first loss of the afternoon. All acquitted themselves admirably and thoroughly enjoyed the competition, sporting our new kit, donated by the Premier League. Don't they look smart? We are delighted to have held the first of our fencing workshops, led by a coach from Premier Sports in Salisbury and funded through the Olympic Legacy. Kestrel Class are looking forward to developing their skills over the following two sessions. Who knows? There could be a future Olympic champion in these pictures! On Wednesday, 12th October, pupils from years 3 and 4 took part in a football festival at Avon Valley College, competing against other schools in the area. We are delighted this year that a group of children have volunteered to be our 'Sports Council'. They are planning to organise and run sporting activities for children in the school. 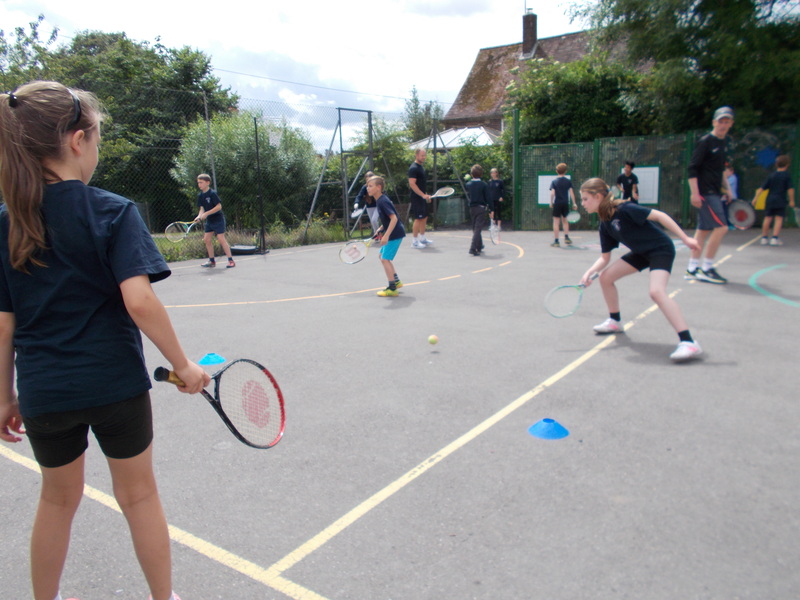 They have already begun by setting up a tennis tournament for pupils in year 3 and 4 which will start next week. 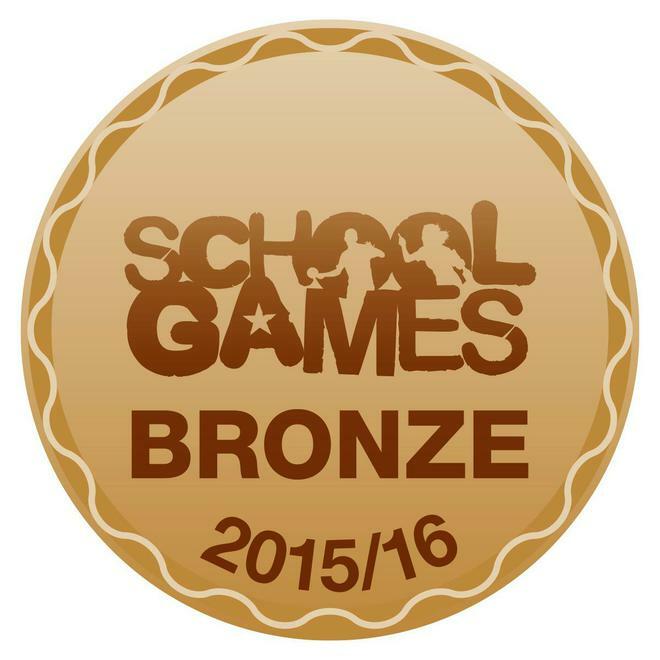 Each year the Sainsbury's School Games recognises schools that show a commitment to PE and school sport. We have just been informed that our application was successful and that we have achieved a bronze award. To see our certificate, please click on the link below. 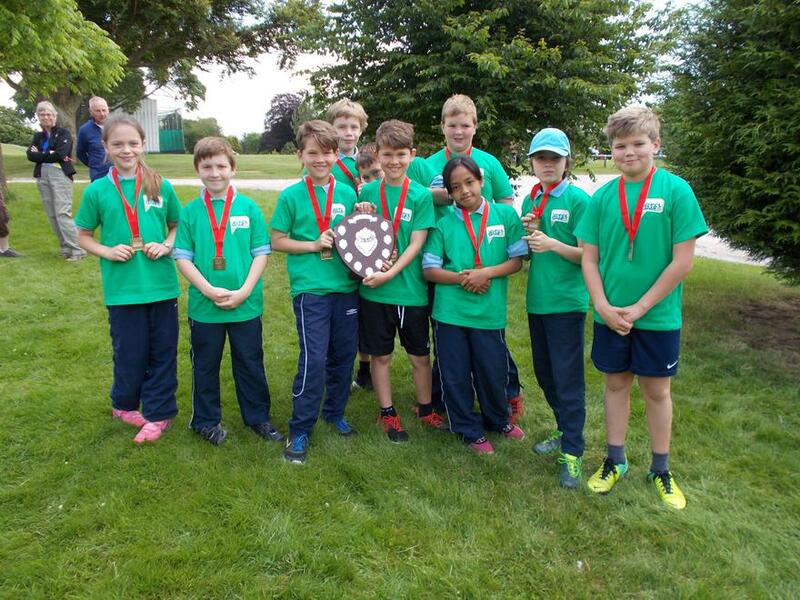 Following a superbly committed performance at the Wiltshire Games, Oare school posted the fastest team time over the orienteering course to come out on top as Wiltshire Champions! Huge congratulations to them. 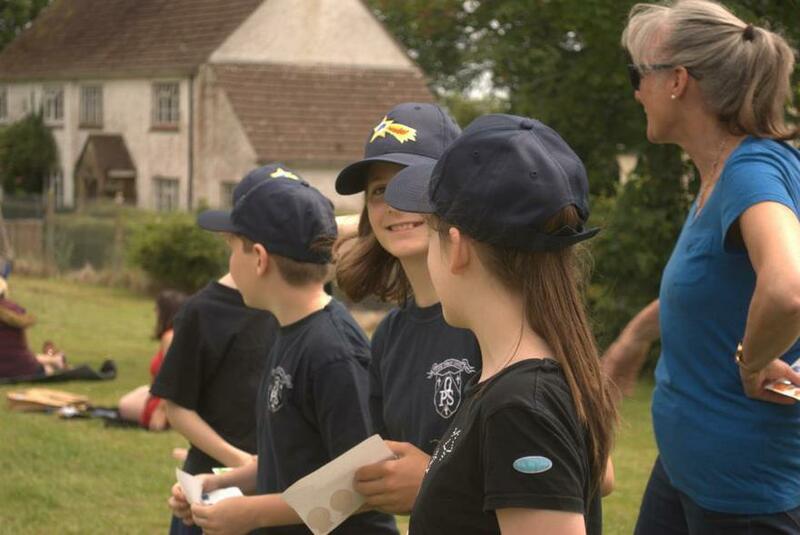 On the 6th of July 2016, 10 Oare primary students attended an orienteering finals festival at Marlborough College. We arrived promptly, thanks to Barry (our bus driver) who dropped us at Marlborough College to witness the opening ceremony of the Sainsbury’s Wiltshire School Games. During the ceremony we watched some gymnasts doing front flips and back flips; we joined in with the warm up dance as well as watching some drama activities. We arrived at the orienteering station where all ten schools that got through to the final were sat down waiting. We were put into our pairs by Mrs Tandy and Mrs Marshall. We awaited our instructions. The first pair to set off was Emil and Ben D followed by Tom and Oliver, Tiano and Ben M, Yasmin and Shamel and finally, Will and Hugh M.
There were five different courses to orienteer with each pair tackling a different course. We all arrived back at the orienteering station not knowing the results. After eating our lunches we awaited the award ceremony and were over the moon when we found out we had come first by three minutes. We were awarded medals and given a shield to engrave with our school name and the year. 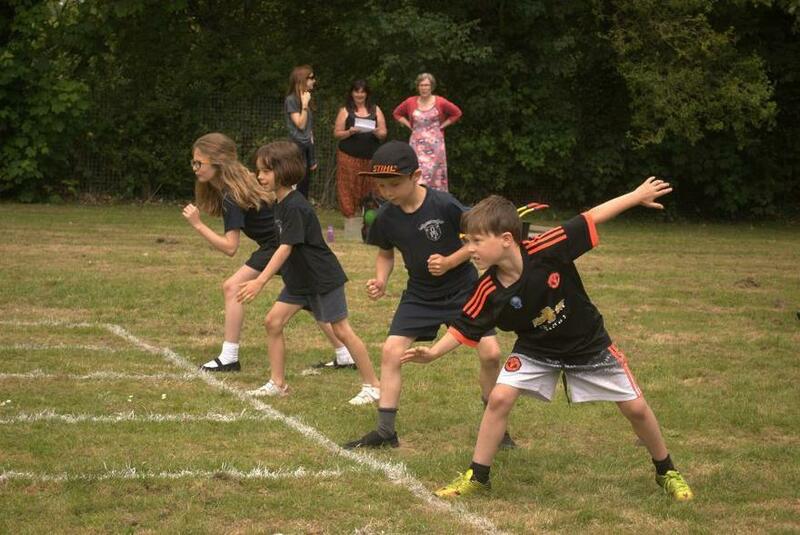 Yesterday, it was Oare Primary School’s best Sports Day yet! We had amazing samba music lead by Mrs Osborn (Owl's class teacher). She chose 11 children to play the samba instruments whilst Mrs Davies (another Owl teacher) and herself played the music that will be played at the opening ceremony of this year’s Rio Olympics, on the saxophone. In the playground, we lined up in our house groups and were lead over to the field. We then paraded around our school field. When we lined up again, we were lead out to the middle of the field again to make the Olympic rings. We were wearing our team colours so it really stood out; but, we didn’t have a black team, so the teachers stepped in! Then it was time for the races to begin. We went in order of years. We were all feeling very nervous .Firstly we had Reception, Year 1 and Year 2 doing the ‘ball between legs’. 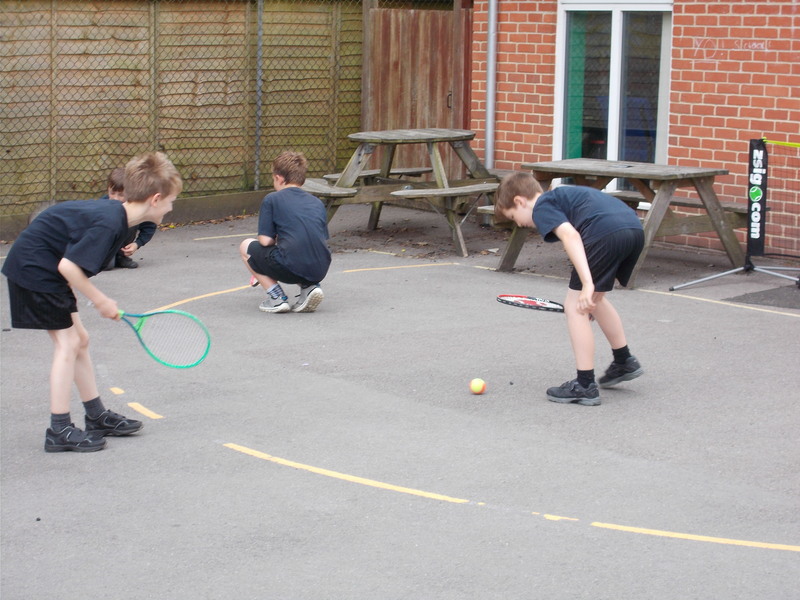 Then we had Year 3 and 4 doing a ‘bounce the ball on the tennis racket’ race. Next, it was us, Years 5 and 6. 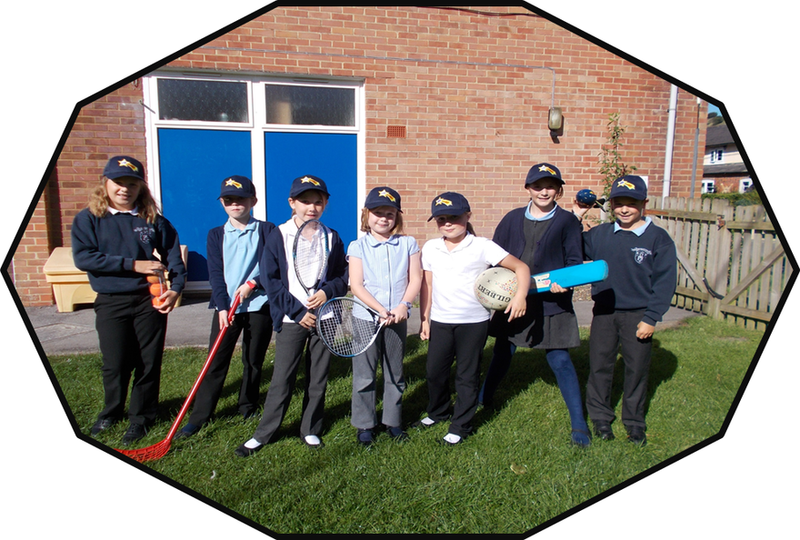 We were doing a ‘dressing up’ race where we had to put on a cap, then P.E shorts, then a sport top. We went in the same order again, but with different activities. KS1 did a ‘spider’ race, and KS2 did a sack race. After that, we had a running race, in the same order again. I came fifth in everything. Our parents and toddlers then had the chance to race each other. 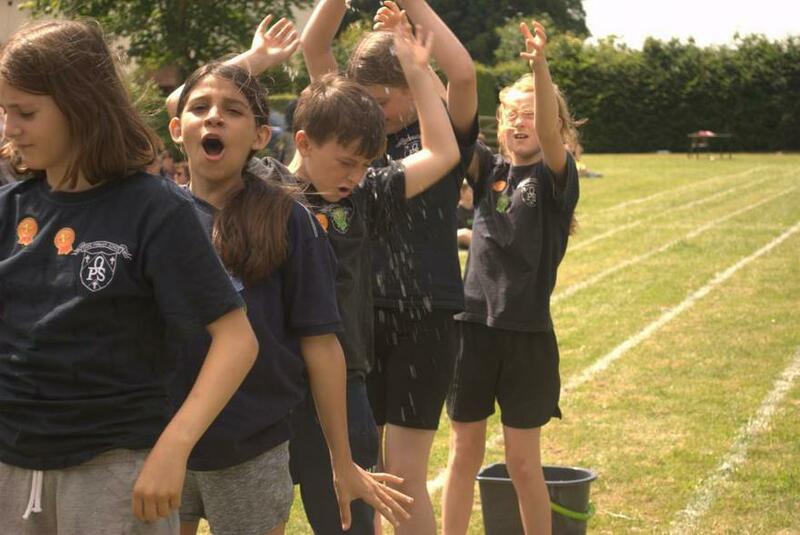 Whilst the prizes were being sorted, we had a water relay race, where we had an egg cup and 2 buckets. There was a big bucket opposite us which contained water! Bubblepuff (the blue team) won the race by a very close amount! We were then lead back to the playground, where the prizes were announced. Scarlett and Anya won the infant girl prize and Edward won the Infant boy prize. Jia-Yi and Hermione won the junior girl prize; and Luka won the junior boy prize. Finally, Tuffles (the yellow team) won the big prize! Grizzledom (the green team) came second, Dragonclaw (the red team) came third and Bubblepuff came last. Then, we were all given an ice lolly to take home for participating. We have hit a winning streak. Our team of orienteers also struck gold, winning their event this week. They have now been invited to take part in Wiltshire School Games. Yesterday, 10 people from Owl class took a trip to Stonehenge School to take part in an orienteering competition. We went there in the minibus with Mrs Tandy, Izzy and Barry (he drove us there and back- thank you!). When we got there we split into pairs with people from our school, were introduced to the staff and lined up in lines with each school. Next we were told about the course and were given a map and a special scanning device that you put on to the posts you had to find. Then we set of- some on course D and some on course C.
The courses were pretty easy but some were harder than others. It was really fun although we got very wet in the rain. When we finished we went to a tent where there were two people who scanned your device and told you what time you got on a little receipt. The people who did the course C and D swapped over and did the other course. So everyone did both of the courses. Finally, the staff added the top three times from each 5 schools. OARE WON WITH THE FASTEST TIME! We all got a medal, certificate and we got one golden ticket to the final. Sadly, the final is on the day of the Year 6 induction day at St. John’s so we are not sure of who is going or whether we are not going at all . 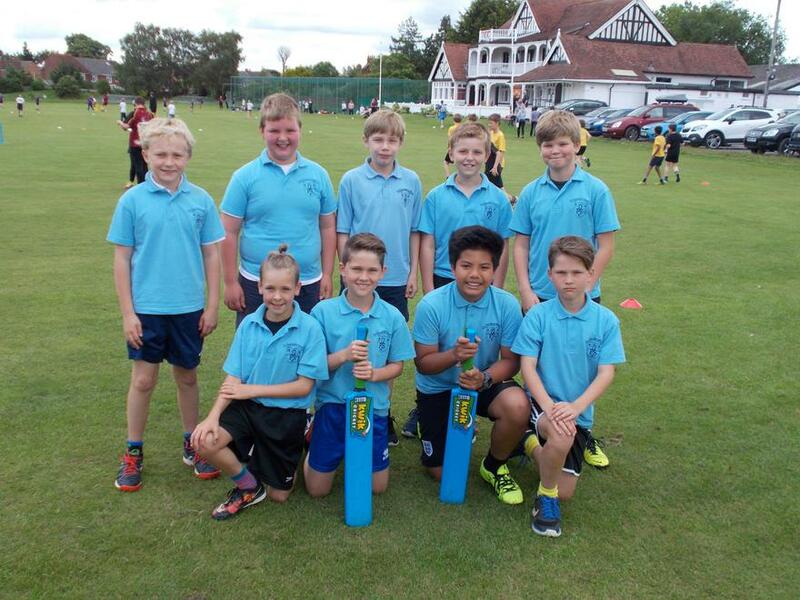 Our fabulous cricket team competed in the county finals held at Trowbridge Cricket Club. Here is a match report written by four of our players. 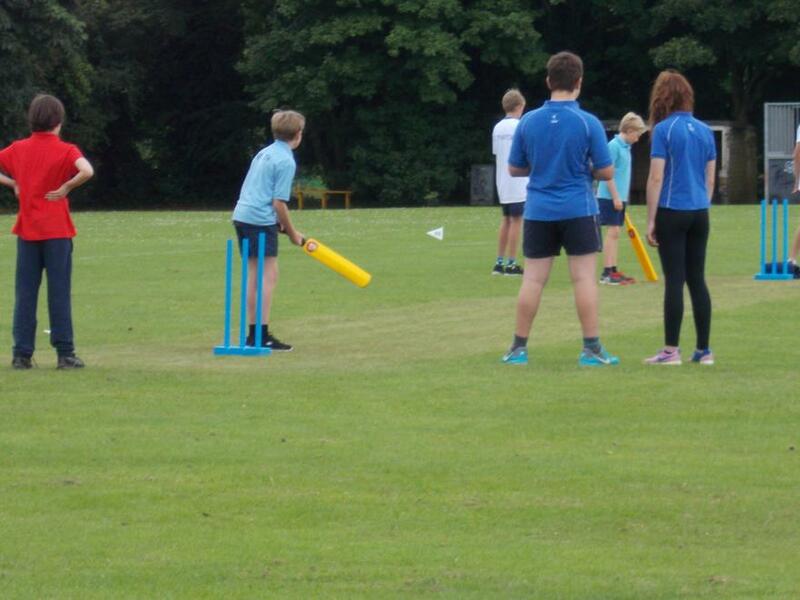 On Monday the 27th of June, the Oare cricket team attended the cricket tournament at Trowbridge. We left school at 9:30am and got to Trowbridge at about 10:30am. We were ready to play at 11:00am. The line-up for the first game was: Will, Hugh, Oscar, Gian, Thomas, Tom, Emil, Oliver. Jude was sat off on the first game. We got off to a great start by winning the first game. Hugh did some crazy bowling by bowling 4/4 people out. The second game, Oliver sat off and Jude came on. Unfortunately we lost by 3 runs against The Mead. However, they were the strongest team and didn’t lose a game in the group stages so we were fairly happy with that result. In the 3rd game, Thomas was sat off. We absolutely destroyed the green and the yellow team by 73 runs! It was unbelievable. The 4th and final game was a good result and a little bit interesting. We won at first but then 2 of their batters hadn’t batted yet. We had to restart the last 2 overs. Even after we restarted we still won. It was so much fun even though we didn’t get through. If we had beaten the Mead we would have got through. 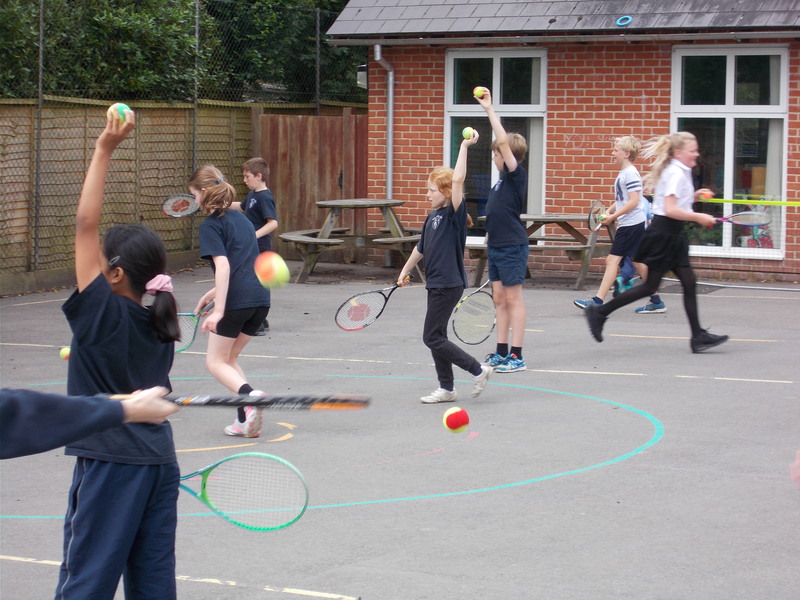 John and Martin from Pewsey Tennis Club kindly gave up their time on Friday morning (24th June) to work with each class in turn, developing their tennis skills. Each class enjoyed an hour of fun and engaging activities which were enjoyed by all. I recently received an email from the two coaches who said,"Both Jon and I were delighted with the way the children responded to us and got stuck in with whatever we asked. They were all very respectful and a credit to the school." Congratulations to our school cricket team for winning the cluster event on Tuesday 21st June. They now progress to the county finals to be held at the County Ground in Trowbridge next Monday. Four of our Kestrels travelled to Avon Valley College to take part in a tennis tournament. 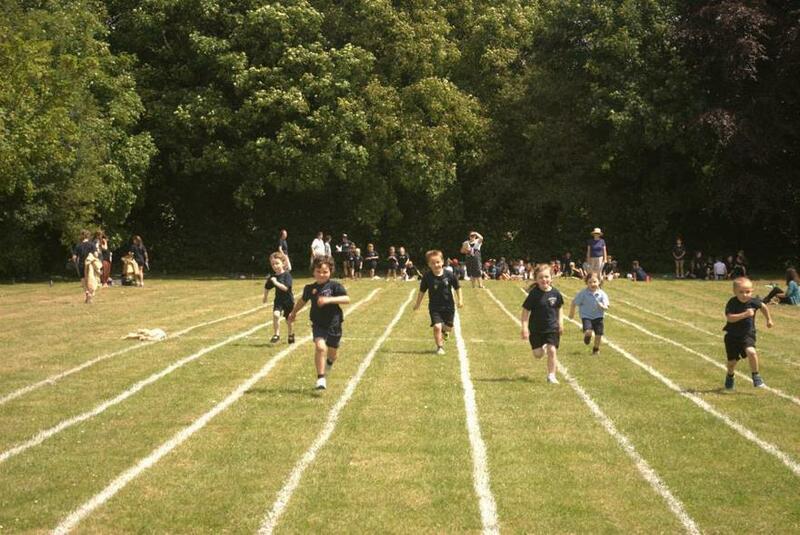 Congratulations to our eight Owls who took part in the annual Quadkids competition on Monday, 13th June. They supported one another enthusiastically and all gave of their best in the sprint, long jump, vortex throw and 600m. 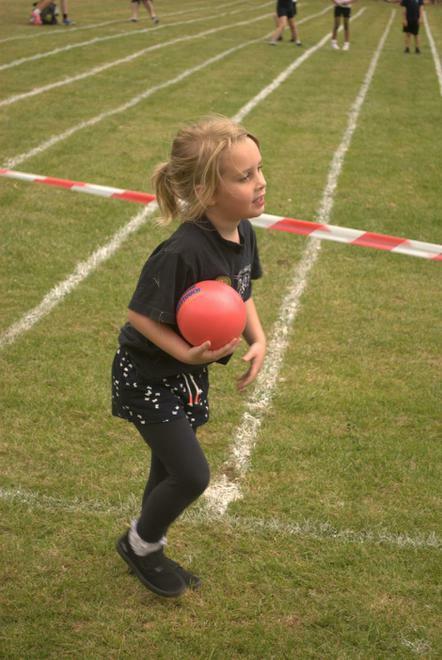 A timing error meant that only 3 of our 600m times were recorded, and though the children were given the chance to re-run the race, 600m is a long way, and they had given their all the first time! We therefore finished in ninth place overall, but I am confident that with our distance results, this position would have been higher. Special mention must go to G.C for finishing first overall in standing long jump, achieving a whopping 2.25m, and also to B.D. who won his heat of the boys' 600m, competing against about 20 other competitors. Here are some pictures of the team in action.